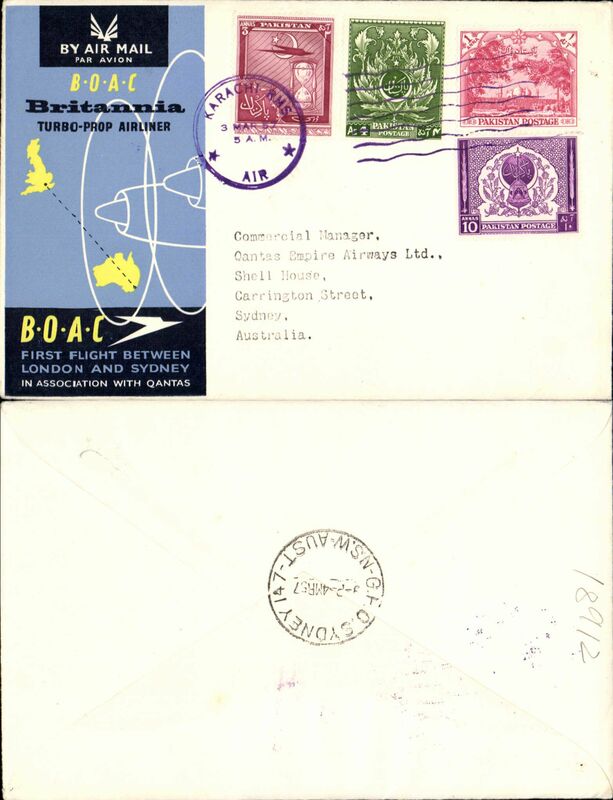 BOAC F/F Britannia Turbo-Prop, Karachi to Sydney, bs, official cover. 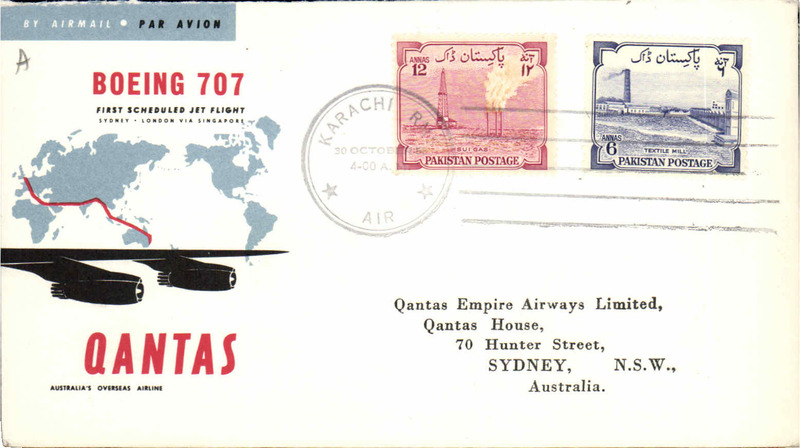 Lufthansa, F/F Karachi to Frankfurt, official printed souvenir cover, 20x10cm, large violet flight cachet. 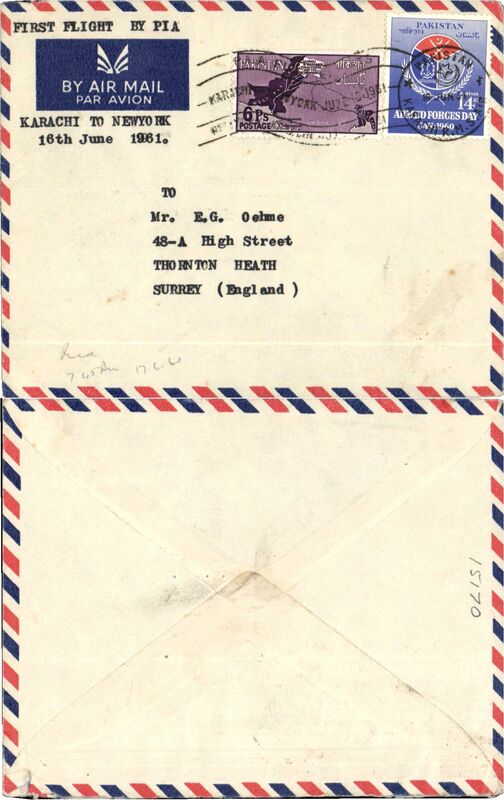 Faint non invasive ironed vertical fold. 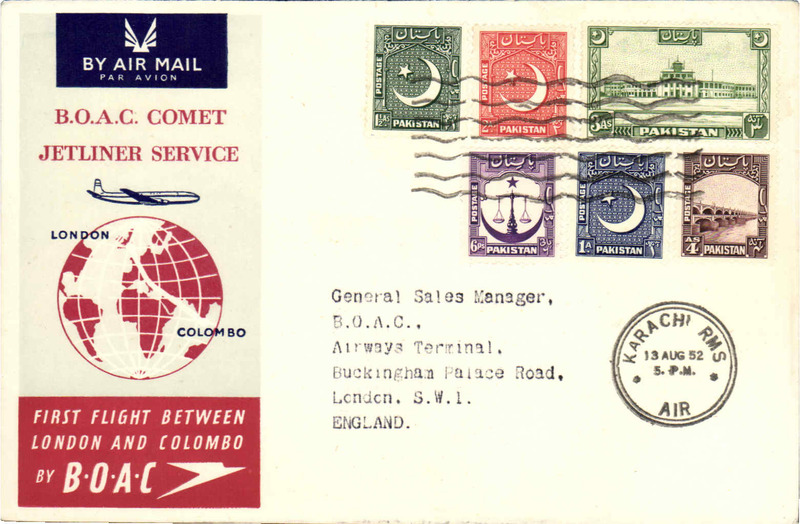 Pakistan International Airlines, F/F Karachi-New York, typed endorsement, special dated 'Karachi-New York/July 16 1961' machine cancellation. 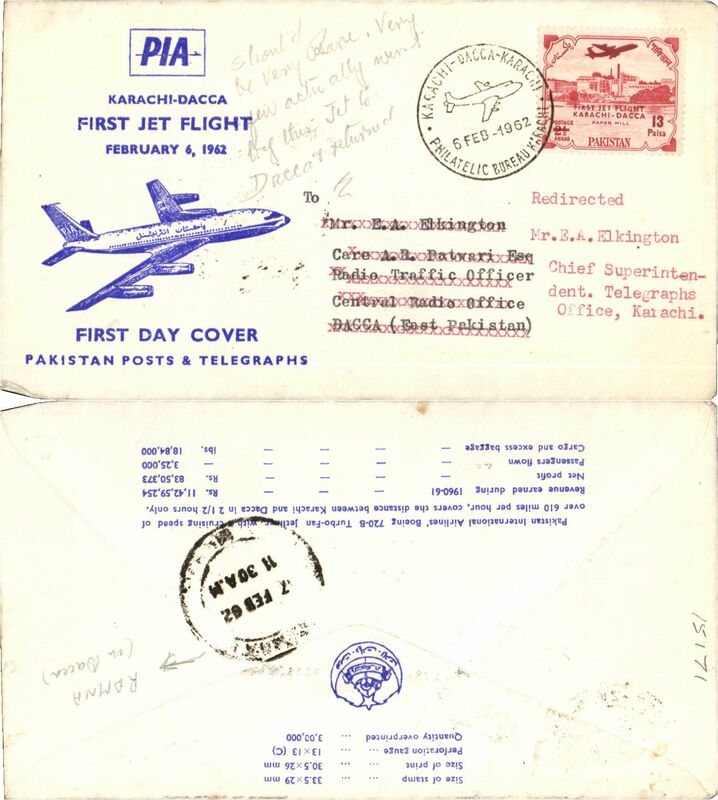 Pakistan International Airlines, F/F Karachi-Dacca, b/s, official printed souvenir cover. 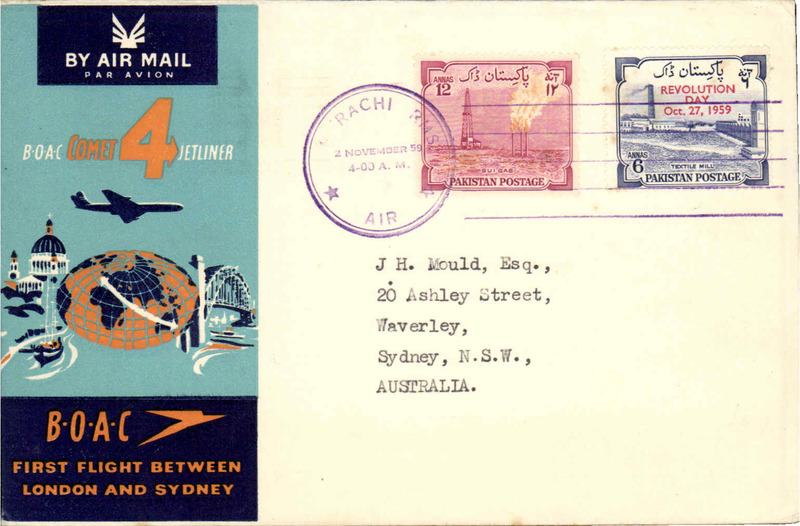 Pakistan International Airlines, F/F Karachi-Moscow, b/s, official printed souvenir cover. 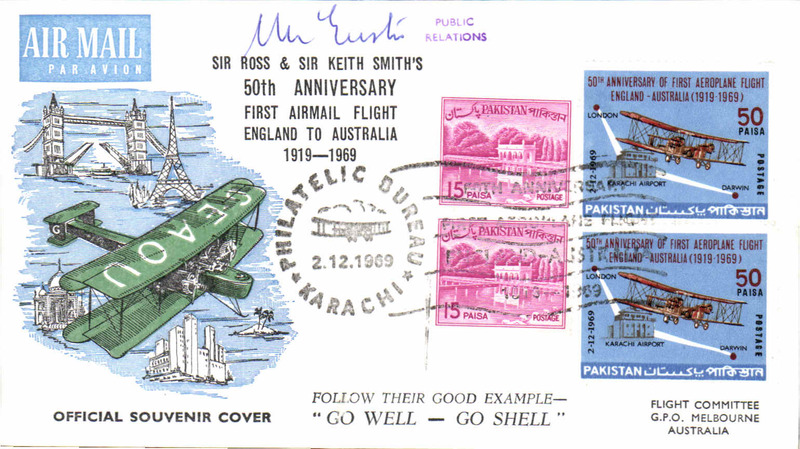 Karachi-Melbourne, b/s, 50th anniversary souvenir cover issued by a country flown en route to Australia during 1919 Ross Smith flight, signed N. Eustis. 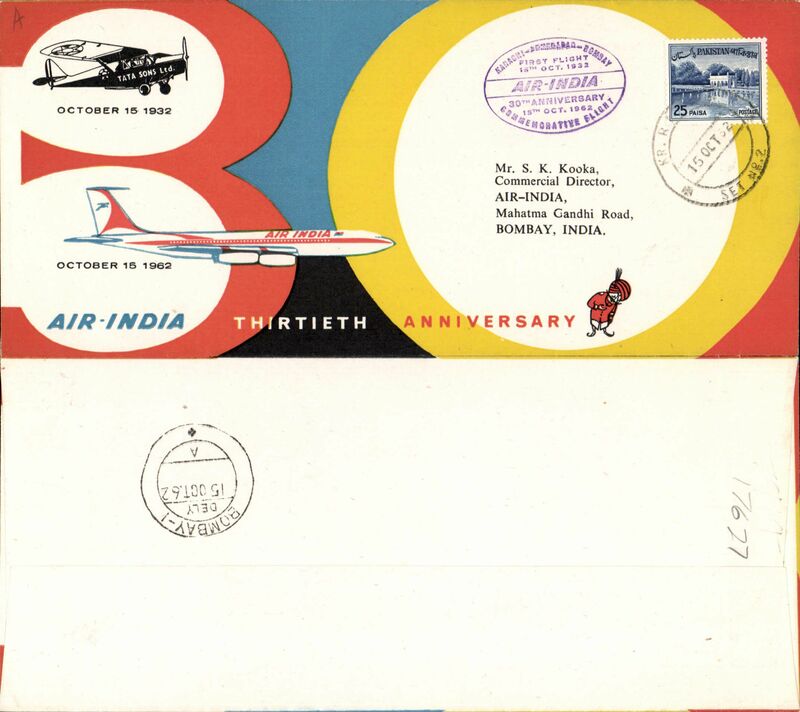 50th anniversary 1st aeroplane flight 'England-Australia', souvenir cover franked FDI special Anniv stamp.